Location: Located in south-central of Jilin Province, Liaoyuan is 100 kilometers (62 miles) from the capital city of the province, Changchun and about 200 kilometers (124 miles) from Shenyang. It neighbors Siping and Jilin City, and is bounded on the east by Liaoning Province. History: Liaoyuan was the location of the imperial Shengjing Paddock of the Qing Dynasty (1644-1911). 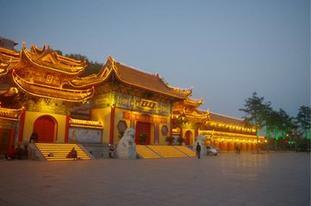 In 1902, county was first established here called Xi'an. In 1952, it was changed to Liaoyuan City as the Liaohe River originates from it. Physical Features: Situated in the transition area from offshoots of the Changbai Mountains to Songliao Plain, the city belongs to low mountainous and hilly area. Climatic Features: Liaoyuan holds the features of semi-humid continental monsoon climate. Alternation of cold and warm spells makes weather in spring varies greatly some time, and summer is the season of heat and wetness. Like other cities in Jilin, Liaoyuan's winter is long and chilly, either. When to Go: Autumn is the most comfortable season to visit Liaoyuan for the clear sky and fine weather.